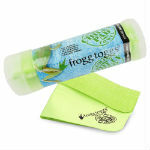 Personal Cooling Towels from Ice Cold Mist are the perfect way to stay cool and to beat the heat wherever you go! Lightweight and completely portable, you can take them to the game, to the gym, to the park or just about anywhere that you might need to keep cool. 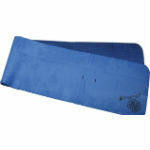 Simply cover your shoulders, head or arms with the moist towel for instant cooling relief. 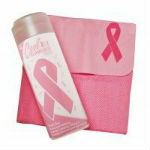 Our cooling towels provide a new and innovative way to stay cool. Made from a soft, ultra-evaporative sponge material, our cooling towels are designed to retain water while staying dry to the touch. Simply wet the towel with water and within seconds the towel will cool to as much as 20 degrees below the ambient temperature. And when the towel stops cooling, just re-wet it, wring it out and within seconds, it's cool again! 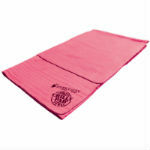 Frogg Toggs Chilly Sport Cooling Towel - 33" x 6.5"
Frogg Toggs Original Chilly Pad Cooling Towel - 33" x 13"
Frogg Toggs Super Chilly Pad XL Cooling Towel - 33" x 25"
Personal Cooling Towel - Breast Cancer Awareness - 27" x 17"